AI specifically refers to the enhanced ability that a piece of software may have, where it can understand specific information, add contextual knowledge to it and suggest responses based on that. Artificial intelligence, popularly referred to as AI, is no longer seen only in movies and TV series. Many of us are already taking advantage of it through mobile apps and smartphones. AI specifically refers to the enhanced ability that a piece of software may have, where it can understand specific information, add contextual knowledge to it and suggest responses based on that. For example, the suggestion about which content to view on YouTube has an element of AI working in the background. Available by default in many Android smartphones, Google Photos uses AI and machine learning to identify objects or human faces in a photo and club ones with common elements and the same faces into specific folders without the user’s intervention. It is this ability to understand the content in a photo which makes Google Photos better than an ordinary photo storage app. This also makes it easier for users to find images they want quickly. A number of photo and video filter apps such as Prisma and Artisto use AI to apply filters. Prisma uses AI and a set of neural networks to understand the contents of an image to convert an ordinary photo into a beautiful work of art. 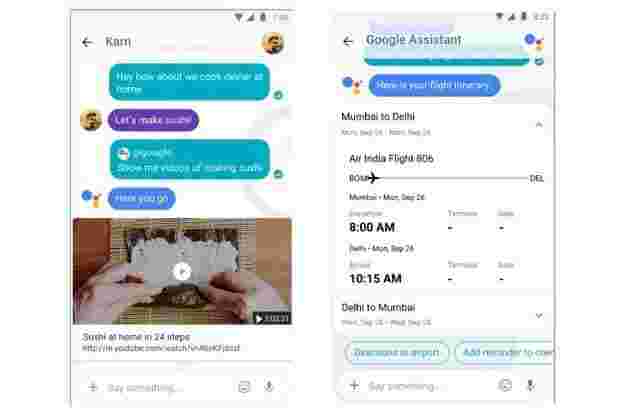 Google’s instant messaging app Allo uses AI and language processing tools to understand how a user converses with friends and the built-in personal assistant on the messenger. It focuses more on the context and content in a message so it can come up with smart suggestions and more accurate answers. Its accuracy depends on how much time you spend on the messenger. The more you use it, the more accurate and interesting its suggestions will become. Allo can also detect content in photos shared with the user to suggest a more appropriate reply. Typing on touchscreen phones is not as comfortable as typing on a proper keyboard. This is where predictive text input, a feature of touch-based keyboards, can help users overcome the limitations of small keys and keyboards. 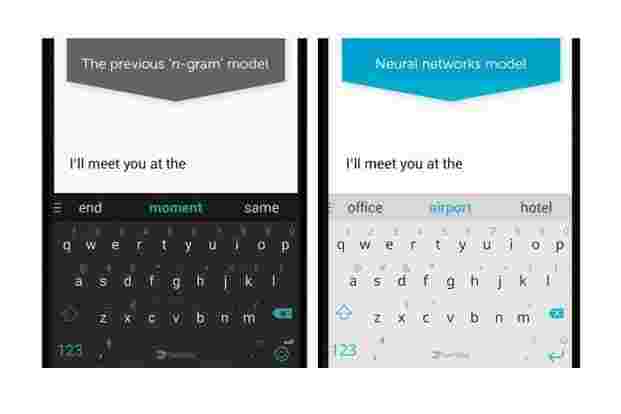 Microsoft’s SwiftKey takes it a step further by using AI to understand the context in what is typed to provide more accurate text predictions and auto correction options to users when they are typing. It focuses on a user’s writing style and factors in the entire sentence and not just a few words. So, if you type “We are excited for", SwiftKey’s predictions will be “New Year" and “Future" which can actually help complete the sentence. What makes Google’s Pixel and Pixel XL smartphones unique is the AI assistant that has been incorporated into the phone’s software. At the start, it seems like another voice-based personal assistant such as Apple’s Siri or Microsoft’s Cortana, but brings a lot more to the table. Like the AI in the Allo, it creates a virtual image of a user based on his queries, commands and browser history, so it can understand the context in query better and provide more appropriate suggestions. HTC has deployed a similar AI tool called Sense Companion in the HTC U Ultra and U Play smartphones. It works on similar lines as Google Assistant and uses machine learning to understand a user’s interest and tastes to provide better suggestions and improve their overall experience with the phone. For example, it will give more priority to notifications from apps that are regularly used or contacts that are more frequently called. AI in smartphones is still at a very nascent stage. The way we interact with smartphones is not going to change anytime soon, but the coming of AI into our lives shows its immense potential.